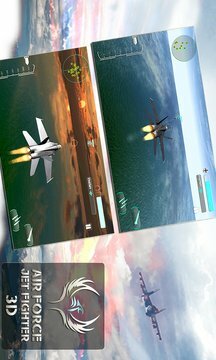 Air Force Fighter is an ultimate sky war against the enemy airplanes and sky fighters. Take control of your air force fighter jet and fly high into the skies. Fight the air battle in the skies against some of the best airplanes. It is flight simulator mission game to test your flying skills. Your airbase is under the air force attack and the freedom of your air base is in danger. Play the air strike battle simulation and defend your country’s pride in this jet fighter flight simulator. Show your sovereignty as a pro fighter jet pilot to battle the sky war. Enemy has surrounded with their fighter jets from all sides, take them out and return to your air base safely. Get aware about the enemy bases and get into jet dogfights. Destroy enemy navy and carrier ships to combat against their air force strike. Become a pro jet flight driver and fly high in this air force flight simulator. The game consists of campaign mode and dog fight mode. Make a career in air force and complete the whole jet fight campaign. There are 10 gameplay missions in campaign mode. Defend your base against air and navy attacks. Complete the series of air missions and save your country’s pride. Choose dogfight if you want to test your jet fight survival skills. 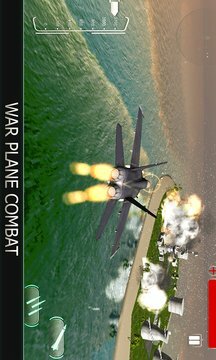 Get into air wars against countless enemy fighter jet planes. End up as the survivor to claim yourself as the top fighter jet pilot. Get the taste of flying the most amazing fighter jet planes like F-16, F-18, F-35, F-47 and more. Fly high in the skies like a pro airforce fighter jet pilot.